In 1920 Captain T.B.F. 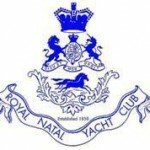 Davis, Master Mariner, entrepreneur, yachtsman and philanthropist, purchased the former British Royal Naval Second Class Cruiser, HMS Thames, from the British Admiralty, to be utilized in South Africa as a permanent home for the Cape Town Naval Cadet Corps. A delivery crew was assembled in England, consisting of among others, 20 cadets and an officer of the Cadet Corps, and the ship, renamed TS General Botha, under the command of Captain F B Renouf, sailed from England on the 8th February 1921. After a voyage, which was not without mishaps and adventures, the ship arrived in Table Bay on Easter Sunday, 26th March 1921. It soon became apparent that it would be impossible for a part time organization like the cadet corps to finance and maintain a ship of this size. A change of plan resulted in the ship being donated to the South African Government to be used for the full-time training of boys for careers at sea. That distant connection with the sea cadet corps is still reflected in the navy blue and dark green of the cadet corps flag being used in the ties, cravats and other items used by the GB Old Boys Association. The first intake of 75 boys joined the ship in Simon’s Town on the 15th March 1922. The S.A.T.S. General Botha Old Boys’ Association’s “Commissioning Day Dinner” commemorates this date annually. The official christening of the ship as S.A.T.S. General Botha was performed on the 1st April 1922 by the wife of General J.C. Smuts, Prime Minister of the Union of South Africa, on behalf of Mrs. Botha who was ill at the time. For the next 20 years the ship remained a familiar sight in Simon’s Bay and steadily built up an enviable reputation for the caliber of seafarers who were produced. Altogether 1276 cadets received their training aboard during this time. The names of no less than 83 former cadets of the General Botha appear on the GB Roll of Honour. Of these 24 were in the Merchant Service, 17 in the Royal Navy, 8 in the Seaward Defence Force or SA Naval Forces, 14 in the Royal Air Force, 11 in the South African Air Force and 9 in the SA Army. Many former GB cadets were decorated, the best known being Squadron-Leader J D Nettleton, who earned the Victoria Cross and was later killed in action. At the end of the war when it was time to return the ship to the care of the trustees and the Board of Control, a survey found the ship beyond economical repair. It was agreed by all concerned that she be disposed of and on the 13th May 1947 she was towed into False Bay by the naval tug ST Dogmael and was sunk by gunfire from SCALA battery in a position 9 miles East-South-East of Roman Rock lighthouse. Training continued ashore at the Red Hill camp until early in 1948. Conditions on Red Hill were, to say the least, primitive and in the winter it was a dreary place. Added to this were the inadequate facilities and the 30-minute truck trip to reach the boats, which were moored in the West Yard. Fortunately the GB was able to move to the former SAAF crash boat station at Gordons Bay, at the end of April 1948. At this time the name of the establishment was changed to The South African Nautical College General Botha. Thus a new phase in the life of the establishment commenced, under the command of Captain G V Legassick RNR, the new Captain-Superintendent. For the next ten years the SANC General Botha prospered. Standards of training were further improved, an engineering course was introduced and many enhancements realized. Then, in 1958 the SA Government decided to place the establishment under the control of the Department of Defence and the Navy was directed to assume responsibility for the GB. This controversial move was introduced without proper planning and resulted in much confusion and unnecessary bitterness. Captain Legassick was summarily replaced with Commander S C Biermann SAN, to whom fell the unenviable task of running Naval midshipman and Merchant Navy cadet training in parallel, while continuing his command of the Naval Gymnasium at Saldanha Bay. During this period the two year course that had been in use since the inception of the GB, was replaced with a one-year course. This uneasy relationship continued until 1966, when at long last the new South African Merchant Navy Academy was established at Granger Bay. Altogether 18 years were spent at Gordons Bay. What was to be the final phase in the existence of the General Botha commenced under Captain-Superintendent A P Nankin, the principal driving force behind the creation of the new establishment. For the first time the GB operated out of brand new, purpose designed facilities. In addition it had at its disposal its own well equipped, 20m ketch-rigged motor sailer that had accommodation for 12 cadets and 4 officers. This final phase endured for no less than 21 years, until 1987, when the “Bothie” became a department of the Cape Technikon and ceased to exist as an independent entity. Altogether some 3000 cadets received their training in the ship and shore establishments, which so proudly bore the name “GENERAL BOTHA” from 1922 – 1987. Always they are spoken of with respect. The General Botha’s motto, “Honour and Duty” has been well served.